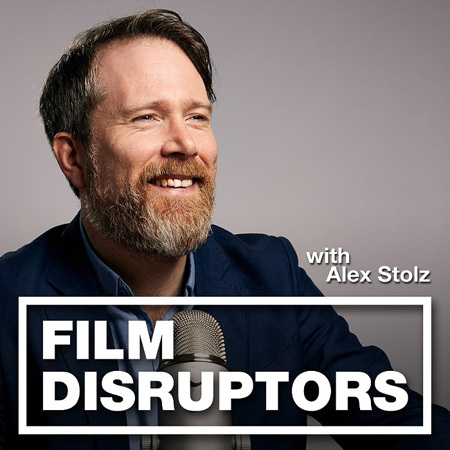 Glen Basner is founder and CEO of FilmNation Entertainment which has established itself as one of the most influential film players as a thriving international sales company and, increasingly, an innovative financier and production company with titles under its belt like Arrival, The Big Sick and the forthcoming A Personal History of David Copperfield by Armando Iannucci! Glen and I have a wide ranging conversation that covers the international film market but also industry diversity, FilmNation’s decade long journey and Glen’s very interesting take on why the industry might be broken – and why this is not necessarily a bad thing…. This episode was recorded live at this year’s Berlin Film Festival at the FilmTech meet-up and is brought to you in collaboration with FilmTech Office, the Propellor FilmTech Hub, and, EFM Horizon. Glen Basner is founder and Chief Executive Officer of FilmNation Entertainment, a leading producer, distributor and financier of independent films. The company has quickly become a destination for many of the world’s most renowned filmmakers including Denis Villeneuve, Steven Soderbergh, Terrence Malick, Pedro Almodóvar, Woody Allen, Jonathan Glazer, Jeff Nichols, J.C. Chandor, Rian Johnson, Morten Tyldum, Lenny Abrahamson, and John Lee Hancock. FilmNation is consistently ranked as one of the highest-grossing independent international film distributors, amassing over $1.24B global box office since 2013. The company has also garnered 44 Academy Award nominations since its inception, including Best Picture nominations for THE KING’S SPEECH, THE IMITATION GAME, NEBRASKA, ROOM, and ARRIVAL. Notable recent production and finance titles include: Dan Fogelman’s LIFE ITSELF starring Oscar Isaac and Olivia Wilde; Sebastian Lelio’s DISOBEDIENCE starring Rachel Weisz, Rachel McAdams and Alessandro Nivola; Emma Thompson starrer THE CHILDREN ACT; Denis Villeneuve’s ARRIVAL starring Amy Adams and Jeremy Renner; John Lee Hancock’s THE FOUNDER starring Michael Keaton; Jessica Chastain starrer MISS SLOANE; GIFTED starring Chris Evans; THE SENSE OF AN ENDING starring Jim Broadbent; and THE BIG SICK starring Kumail Nanjiani. Prior to FilmNation, Basner was President, International for The Weinstein Company (TWC), where he oversaw all international operations for TWC and Dimension Films. His responsibilities included the exploitation of all TWC and Dimension films abroad in all media, which spanned across the sales, marketing, and distribution functions within those companies. Before joining TWC, Basner was Executive Vice President, International Sales & Distribution at Focus Features. Basner transitioned to his role at Focus after quickly rising up the ranks to become the head of international sales at the venerable New York independent film company Good Machine, which was acquired by Universal to create Focus Features in 2002. Basner is based at FilmNation’s New York City headquarters and is an alum of Boston University.